The Kremlin-controlled Natural Resources and Ecology department of the annexed Sevastopol auctioned 2881.3 hectares of forest. The occupation authorities invited tenders for the right to lease land in the Balaklava region for a period of 49 years. The winning bidder will pay 86.44 rubles (about 1.34 USD) for lease per year, as the rental value of a hectare of forest is 0.03 rubles per year. Moreover, the annual fee for shooting animals will be 5 thousand 400 rubles (about 85 USD). Thus, the initial price of the lot is 5,486.44 rubles (about 87 USD). The auctioned forest is a home for 10 the noble stags, 19 European roe deer, 11 martens, 9 wild boars and 6 badgers. Applications for the participation in the auction are accepted until August 23, and the auction itself was scheduled for September 4. 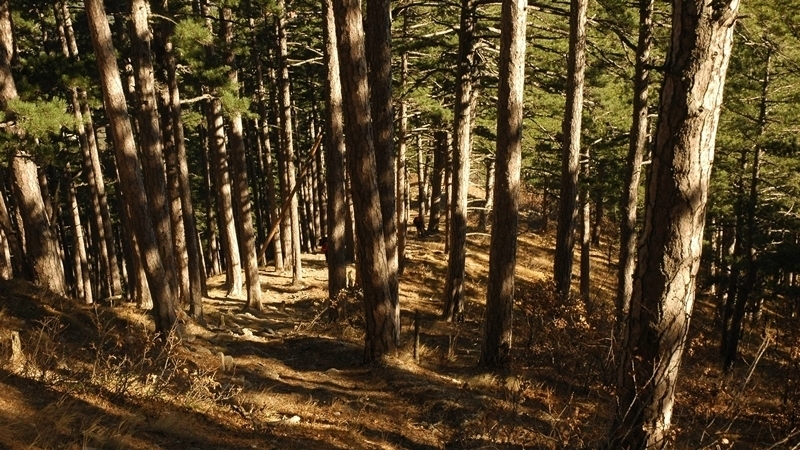 Reportedly, the so-called Council of Ministers of the occupied Crimea imposed a restriction on forest visits for a period of 21 days from July 29 because of fire danger. The invaders will forbid visiting recreation centers, children's health camps, tourist camps, which are located within the boundaries of natural territories and the forest fund.